With collective efforts from the United States of America, international community, and private sector, the world is seeing signs of “clear progress” in combating piracy. Assistant Secretary for Bureau of Political-Military Affairs says the numbers tell the story of progress made by efforts of the US and international community to combat the menace of piracy. According to figures from the U.S. Navy, the world experienced a 75 percent decline in overall pirate attacks in 2012 compared with 2011. A collage of pirates armed with AKM assault rifles, RPG7 rocket-propelled grenade launchers and semi-automatic pistols. There are fewer attempted attacks in no small measure because pirates are increasingly less successful at hijacking ships. According to Mr. Shapiro, in 2012, pirates captured just ten vessels, compared to 34 in 2011 and 68 in 2010. 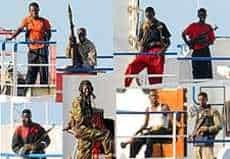 Remarkably, the last successful Somali pirate attack on a large commercial vessel was on May 10, 2012 which is nearly one year ago. He adds that the lack of success at sea, means that Somali pirates are holding fewer and fewer hostages. In January 2011, pirates held 31 ships and 710 hostages. Now, Somali pirates hold hostage two ships and 60 mariners. Mr. Shapiro indicates thatis a more than 90 percent reduction in hostages held by pirates since January 2011. Mr. Shapiro makes it clear that piracy remains a threat. Pirates at sea are still searching for ships to target. He notes piracy emanating from Somalia represented a perfect storm for the international community, a weak state in a strategically essential location, harboring a rapidly growing transnational criminal enterprise that threatened a vital artery of the global economy. 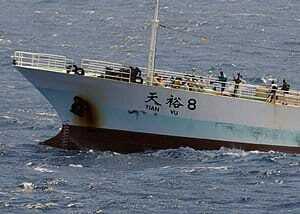 Pirates holding the crew of the Chinese fishing vessel Tian Yu No. 8, guarding the crew on the bow. With the obvious threat to maritime security, Secretary Clinton in 2010 to call for a new strategy aimed at tackling pirate networks and to put pirates out of business. After years of hard work, building a novel international forum and pursuing innovative policies and partnerships successful pirate attacks have plummeted. According to Mr. Shapiro, the Obama administration developed and pursued an integrated multi-dimensional approach to combat piracy. The overriding objective of which was to make sure that piracy didn’t pay. Piracy above all is a business, he noted. Piracy is based on the potential to make money by preying on the vast supply of ships that pass through the waters off Somalia. He notes pirates today can no longer find helpless victims like they could in the past and pirates operating at sea now often operate at a loss. First, the United States has helped lead the international response and galvanize international action. Mr. Shapiro says all countries connected to the global economy have an interest in addressing piracy. In January 2009, the United States helped establish the Contact Group on Piracy off the Coast of Somalia, which now includes over 80 nations and international, and industry organizations bound together on an ad hoc and purely voluntary basis. The Contact Group meets frequently to coordinate national and international counter-piracy actions. The Contact Group has become an essential forum as well and helps galvanize action and coordinate the counter-piracy efforts of states, as well as regional and international organizations. Through the Contact Group, the international community has been able to coordinate multi-national naval patrols, work through the legal difficulties involved in addressing piracy, and cooperate to impede the financial flows of pirate networks. The United States has sought to empower the private sector to take steps to protect themselves from attack. Mr. Shapiro notes this has been perhaps the most significant factor in the decline of successful pirate attacks and here too our diplomatic efforts have played a critical role. The US has pushed the maritime industry to adopt so-called Best Management Practices which include practical measures, such as: proceeding at full-speed through high risk areas and erecting physical barriers, such as razor wire. In addition, the U.S. government has required U.S.-flagged vessels sailing in designated high-risk waters to fully implement these measures. But perhaps the ultimate security measure a commercial ship can adopt is the use of privately contracted armed security teams. These teams are often made up of former members of various armed forces, who embark on merchant ships and guard them during transits through high risk waters. The use of armed security teams has been a “game changer” in the effort to combat piracy. To date, “not a single ship” with armed security personnel aboard has been successfully pirated. The US has sought to deter piracy through effective apprehension, prosecution and incarceration of pirates and their networks. Today, over 1,000 pirates are in custody in 20 countries around the world. 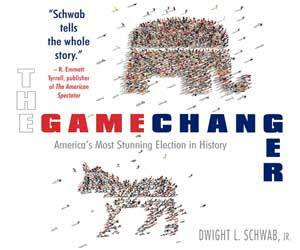 Most are, or will be, convicted and sentenced to lengthy prison terms, Mr. Shapiro reported. The United States has encouraged countries to prosecute pirates and we have supported efforts to increase prison capacity in Somalia as well. The US also has sought to develop a framework for prisoner transfers so convicted pirates serve their sentence back in their home country of Somalia. The US is also collaborating with law enforcement and the intelligence community like Interpol, to detect, track, disrupt, and interdict illicit financial transactions connected to piracy and the criminal networks that finance piracy. It has also helped support the creation of the Regional Anti-Piracy Prosecution and Coordination Center in the Seychelles which hosts multinational law enforcement and intelligence personnel who work together to produce evidentiary packages that can be handed off to any prosecuting authority in a position to bring charges against mid-level and top-tier pirates. Mr. Shapiro emphasizes that the most durable long-term solution to piracy is the re-establishment of stability in Somalia. The successful Somali political transition in 2012 that put in place a new provisional constitution, new parliament, and a new president is clearly a step in the right direction, but much remains to be done, he said. He says supporting the emergence of effective and responsible governance in Somalia will require continued, accountable assistance to the Somali government to build its capacity to deal with the social, legal, economic, and operational challenges it faces. He stresses that the comprehensive, multilateral approach that we have pursued has helped turn the tide on piracy and has provided an example of how the U.S. government and the international community can respond to transnational threats and challenges in the future. As pirate attacks begin to escalate dramatically off the coast of Somalia, piracy threatens one of the principal foundations of today’s modern interconnected global economic system – the freedom of navigation. The piracy off the coast of Somalia is a critical issue for the United States, the international community, and the global economy. Since 2008, Somali pirates have hijacked 175 vessels and attacked at least 445 others. Somali pirates have kidnapped 3,000 crewmembers from over 40 countries, and are still holding 241 hostages as well. Somali pirates hijacked 27 ships in 2011 and six already in 2012. While piracy at sea is certainly not a new problem, its modern reincarnation has new impacts. In a globalized world, the impact of piracy in one area of the world can cause a ripple effect across the globe. People in countries around the world depend on secure and reliable shipping lanes for their food, their medicine, their energy, and consumer goods brought by cargo ships and tankers. By preying on commercial ships in one of the world’s busiest shipping lanes, pirates off the Horn of Africa threaten more than just individual ships. Motivated by escalating ransom payments which grew into the millions of dollars and a lack of other opportunities to make money quickly, more and more Somali men took to the sea. Piracy is a prime example of the dangers and problems that can arise from the presence of ungoverned spaces in our globalized world, Mr. Kelly underscored. In places off the coast of Somalia where pirates operate throughout the coastal areas in Puntland and parts of central Somalia, the lack of governance and weak institutions provide them with safe haven, he cited. US says piracy emanating from Somalia represented a perfect storm for the international community, a weak state in a strategically essential location that harbors a rapidly growing transnational criminal enterprise and which threatens a vital artery of the global economy. The U.S. government has made it clear that it will take all appropriate measures to protect citizens, safely recover hostages, and bring hostage takers to justice. Piracy continues to pose a severe threat to the maritime industry, global trade and therefore the entire global economy. On 2010, 286 piracy-related incidents off the coast of Somalia were reported, resulting in 67 hijacked ships, with 1,130 seafarers on board; while a recent study estimated the cost to the world economy from disruptions to international trade at between $7 billion and $12 billion.